Find beautiful homes near the water in the Rehoboth Beach real estate listings below! Known for its progressive style, family diversity, and upscale atmosphere, Rehoboth Beach attracts a population as diverse as its offerings. Rehoboth Beach real estate, therefore, includes every type of housing one can imagine, from the contemporary lofts and condos found in the outlet shopping/retail district, to expansive beachfront mansions and historic cottages found closer to the shore. Everyday is an adventure in Rehoboth Beach, from lounging on the beach to exploring the local tourist attractions and enjoying some world-class eats. Without a doubt, the nerve center of coastal Delaware is located in Rehoboth Beach. Long known as a destination for vacationers from parts of Maryland, Virginia, D.C., Pennsylvania & Ohio, Rehoboth Beach is a family-friendly destination. Rehoboth Beach real estate includes a mixture of elegant oceanfront homes and a boardwalk that gives locals & visitors easy access to dining, entertainment, and seasonal attractions. Start searching the real estate listings to find your perfect abode now, or keep reading to learn more about the many types of Rehoboth Beach homes for sale and the endless things to do in this popular tourist destination! Rehoboth Beach homes for sale includes a great mix of budget-friendly beach homes to luxury Oceanfront properties and more. While some of the most expensive properties along the southern Delaware coastline can be found here, they're much more approachable than other coastal areas in the country, and yet just as desirable, if not more. 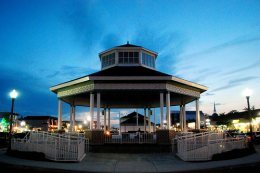 Rehoboth Beach is largely made up of single-family home communities with tree-lined streets and a family-friendly allure. Pair that with the exceptional climate and world-class amenities, and it's no wonder why Rehoboth Beach real estate is one of the most popular markets in the state. Rehoboth Beach features a mix of architectural styles and every tree-lined street has a little something different to offer. It's not uncommon to find everything from charming bungalows to Cape Cod-style houses and custom luxury homes to modern redevelopments all on the same street. The beaches are considered some of the most pristine in the country, receiving the annual five star rating. Stroll the wide girth of sand and collect sea shells, sea glass or be more ambitious and try surfing. With the exception of the state park areas, there are no fees for beach use. The restaurants run the gamut from fine dining to outdoor cafes. The shops, bookstores and art galleries are conveniently located so that you can walk along the Avenue and still hear the sea gulls and smell the aroma of salt water taffy. In season, Grove Park holds a Farmer’s Market. Be sure and take in the renowned Rehoboth Art League’s Outdoor art and craft show. Artisans come from all over the area to display their works. The Art League also offers classes for adults and children as well as their rendition of Shakespeare in the Park. Rehoboth is known as the nation's “Summer Capitol.” It is within driving distance to Washington,D.C; Philadelphia, New York and New Jersey. You can’t beat the post card image of the sand dunes, the ocean and spectacular sunsets. Whether you're an avid snowbird or looking for full-time residency, Rehoboth Beach real estate has a little something for everyone. Find out more about Rehoboth Beach homes for sale by getting in touch with the Mann & Sons team today! Send them a message or give them a call at 302.227.9477 today!